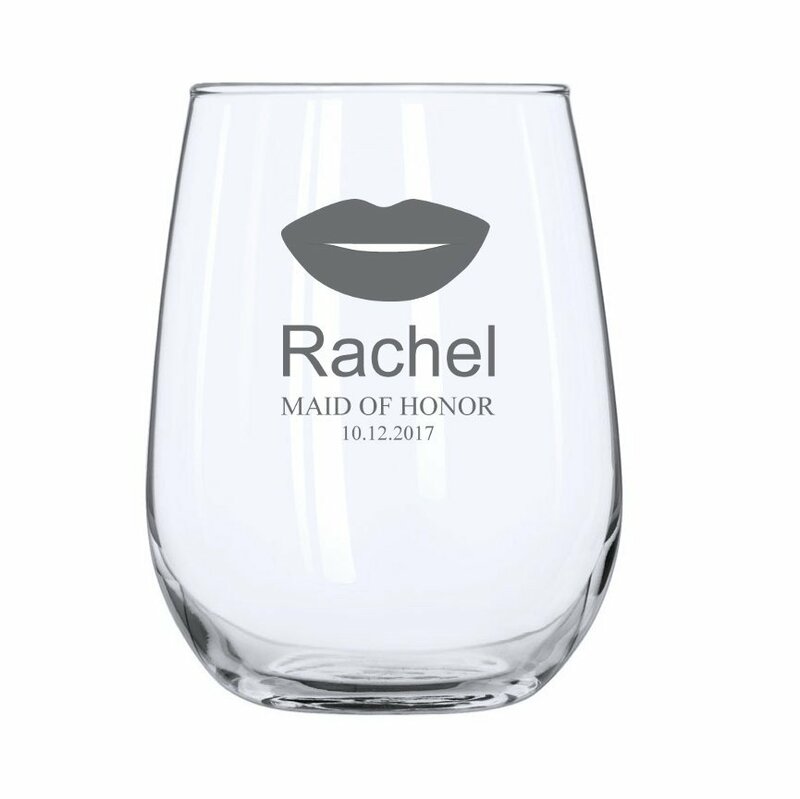 Beautifully personalized Stemless Wine Glasses make for a practical and unique gift for any receiver. Celebrate with your bridesmaids, friends and family, or choose to purchase with our Mustache Design to create a set for the happy couple! Elegant and contemporary, this stemless wine glass will be perfect for the wedding reception.